In the winter time, cross-country skiing lovers can enjoy excellently-maintained ski tracks starting from the corner of the hotel. The centre tracks (2-7 km) starts from 300 metres away and the equipment rental is right next door to the hotel. 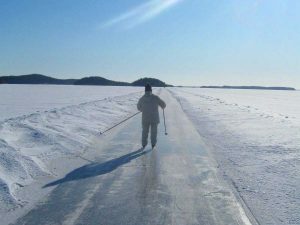 The longest tour skating route (18 km) in Finland, which runs through the Linnansaari National Park, starts from holiday village Järvisydän, located 10 km away from Hotel Rinssi-Eversti. 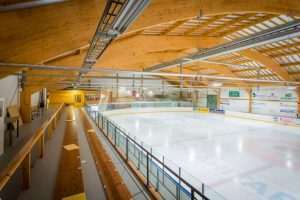 The SuurSavohalli ice hall a stone's throw away offers a superb setting for ice sports camps. Among other things, the hall includes a gym, a hall with mirrors and the only chance to try curling in the area. Rinssi-Eversti is a wonderful fit for traditional golf lovers as well, since there are two interesting courses located within a 20 minute drive. 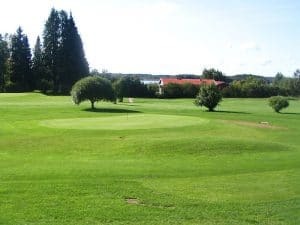 The 18-hole KartanoGolf at Joroinen is a gorgeous course that offers challenges and successful experiences for players of all skill levels. 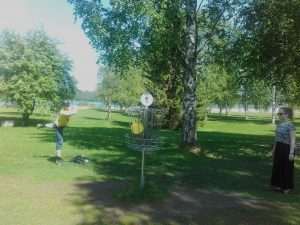 The 9-hole Rantasalmi Golf course, known for its relaxed atmosphere, is a good fit for both beginners and more experienced players alike. In the summer time, you can find a tennis court and an 18-basket disc golf course next to the hotel. There are also events and live music nights organised at our hotel and we have karaoke a couple times per month. In addition, there are also other events, such as disc golf competitions, regularly organised in the surrounding area of the hotel.